Loving Husband of 41 years. Loving Father, Grandfather and Brother. 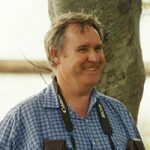 Family and Friends are invited to attend a Funerals Service for Colin to be held in Pinnaroo Cemetery Chapel, 285 Graham Road, Bridgeman Downs on Monday 11th February 2019 commecing at 10am.